It’s been 7 years since The Wallflowers’ last album and they’ve returned with quite a bang! They’ve got a new abum, Glad All Over, set for an October release and this week they’ve just put out the jaw-dropping first single, “Reboot the Mission,” featuring the iconic Mick Jones of The Clash on guitar and BGVs. In fact, the spirit of The Clash is all over “Reboot the Mission” with its echo distorted guitars, dancehall shuffle drum beat and dub-flavored bouncing bassline. Clash leader Joe Strummer is even name-checked in the lyrics! In every way, “Reboot the Mission” is a strong statement that The Wallflowers are back with some great new songs and they aren’t interested in making Bringing Down the Horse, Volume 2. It’s exciting to hear what they have been up to and I hope the rest of Glad All Over will show the same energetic pulse and curious spirit that’s displayed in “Reboot the Mission.” Some super cool things have happened with The Wallflowers since they released 2005’s Rebel, Sweetheart. Frontman Jakob Dylan released two incredibly beautiful solo albums, keyboardist Rami Jaffee toured with Foo Fighters and played on their last four albums and alt-rock journeyman Jack Irons (Red Hot Chili Peppers, Pearl Jam, Joe Strummer, Neil Young) joined on as their new drummer. Glad All Over was recorded here in Nashville at Easy Eye Sound and I’m hoping that they’ll be returning here once tour dates are announced. 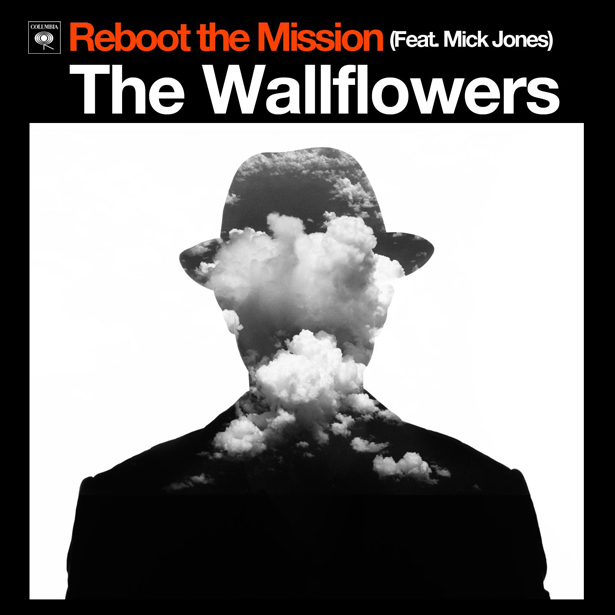 “Reboot the Mission” can be downloaded for FREE from www.thewallflowers.com for just an email address. You can check it out below! In case anyone needs a reminder that Jakob Dylan can certainly hold his own in this reggae/dancehall vibe, here's video of him playing a cover of Bob Marley's "I Shot The Sheriff" (backed by the untouchable Roots) from last year's "Bob Marley Week" on Late Night With Jimmy Fallon.